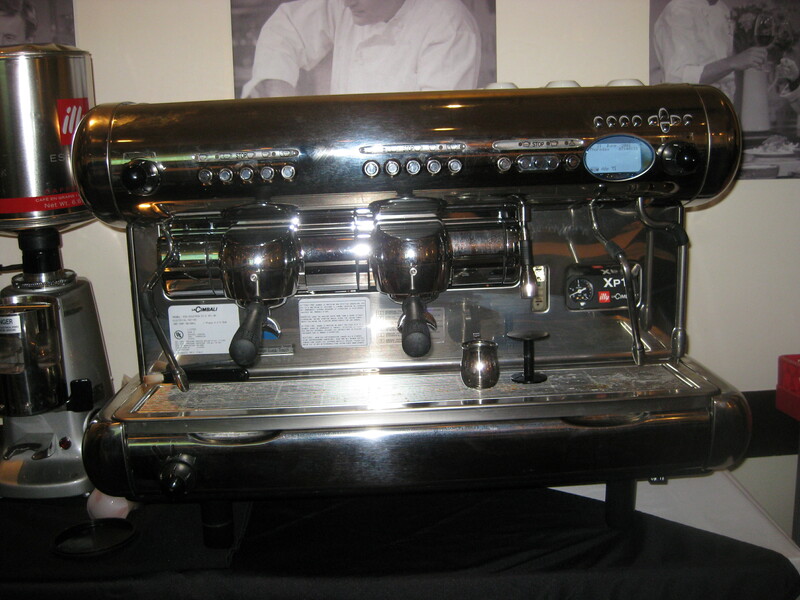 Where can one learn the art of the barista and how to make the perfect espresso and cappuccino? 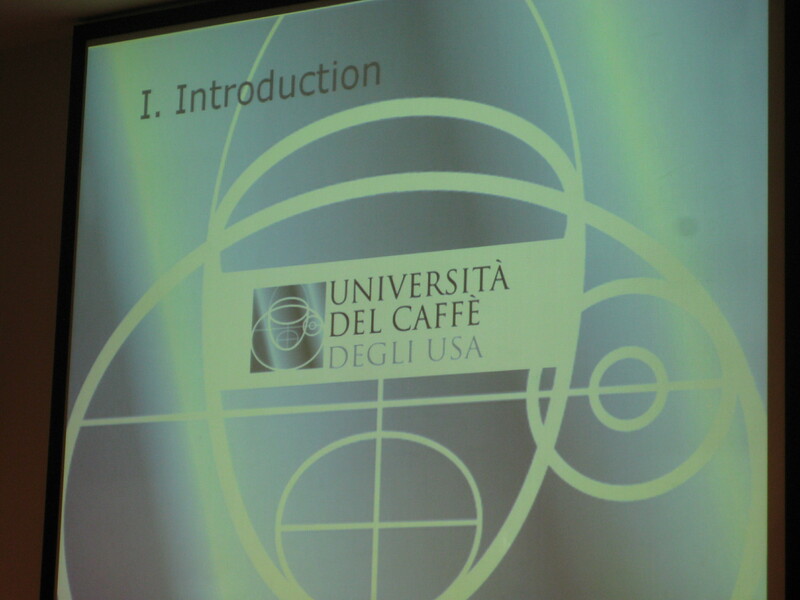 The answer is easy: at the Universita del Caffe Degli USA. 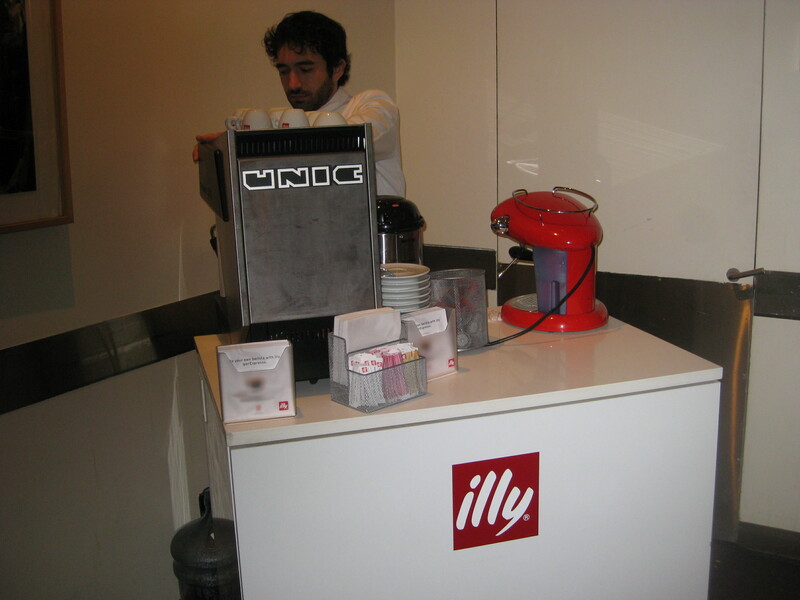 The Università del Caffè was created in Naples in 1999 by Illycaffe. Its purpose is to promote and disseminate the culture of quality coffee using specific theoretical and practical activities. 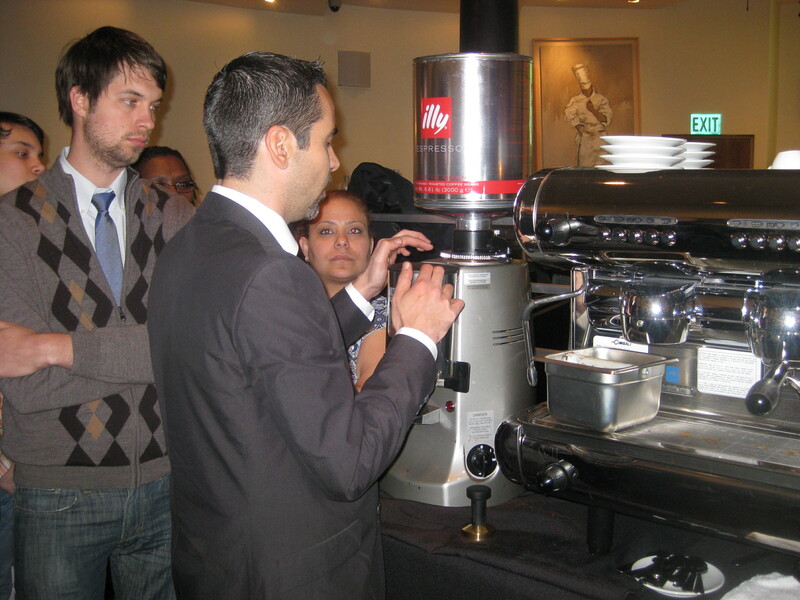 It offers a wide range of courses tailored to meet the needs and characteristics of various types of users: managers, bartenders, restaurant owners, hotel managers, coffee growers and consumers. This program is so successful that there are now 19 international UDC sites. 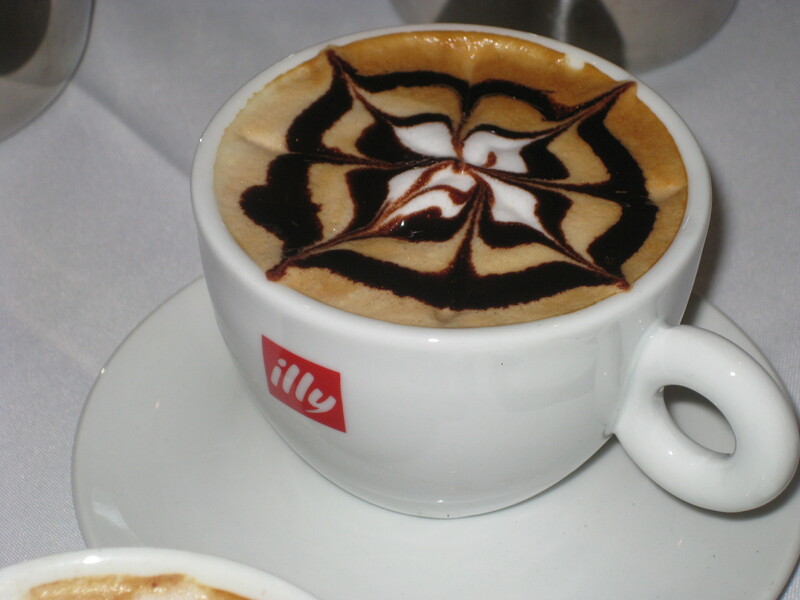 I first tasted Illy Caffe in Trieste in 1994 and was amazed by how good it was. Even though it was very hard to find in the US, my wife Michele wrote about it in her dessert cookbook “La Dolce Vita”. On our next trip to Trieste, we arranged to visit the Illy factory and were greeted by the late Dr.Enesto Illy, the son of the founder, who took us on a tour. 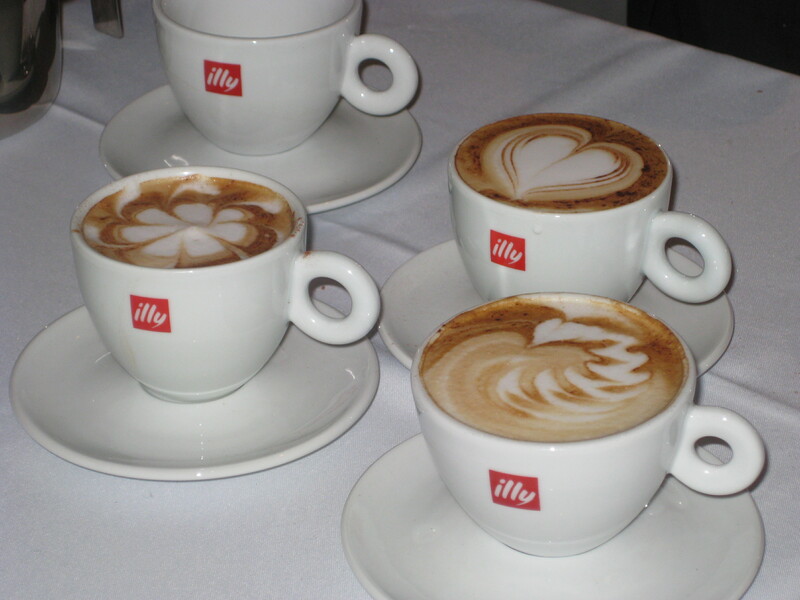 I have been hooked on Illy caffe ever since. 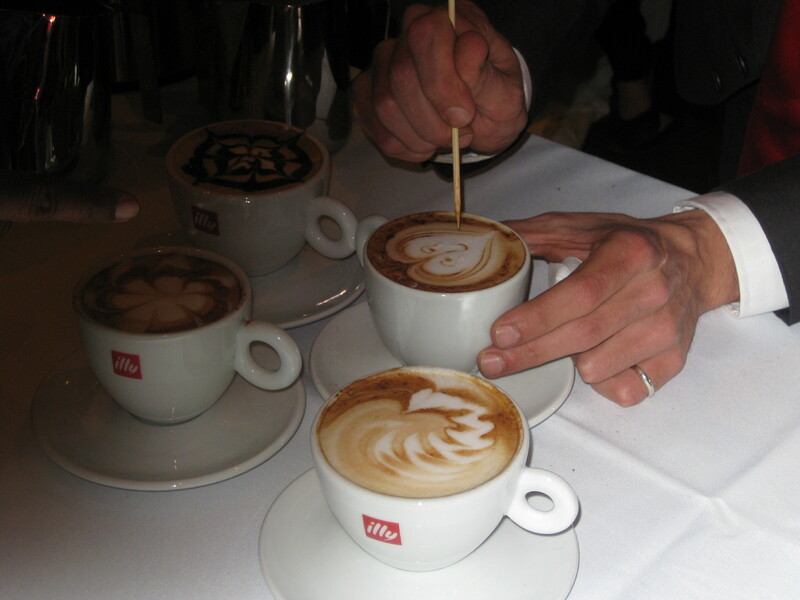 The Illy family still runs the company and in 2005, Andrea Illy, grandson of the founder, became the Chairman and CEO. 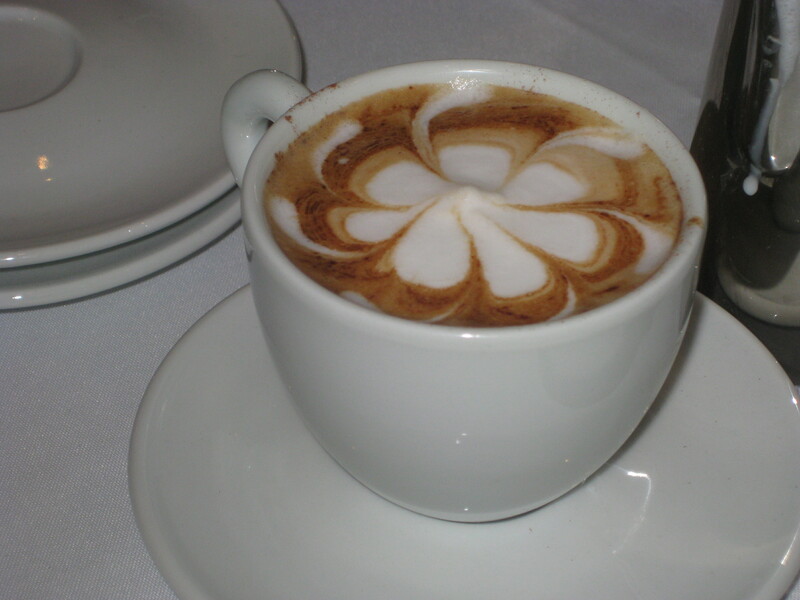 I have been making caffe and cappuccino at home for many years. It is very good but not as good as I have had in Italy, especially in Trieste and Naples. 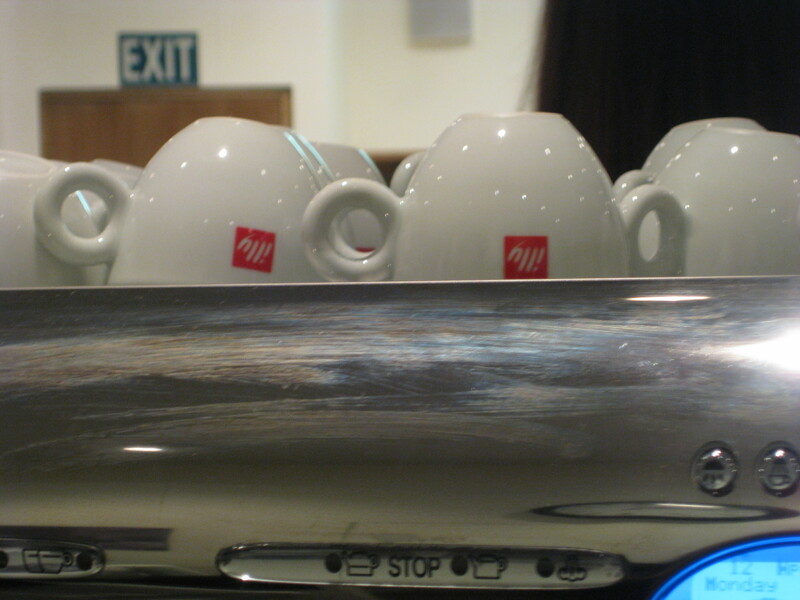 I have a restaurant espresso machine and I use Illy caffe. But what am I doing wrong? I hoped I would find the answer at the UDC. In order to understand what a good caffe should taste like, we tasted a number of different coffees and in some cases tried to identify the components. The first coffee we tasted was Turkish and I found it very rustic and heavy. Lastly was the extraction time. Is the coffee over-extracted (watery) or under-extracted (acidic). I was right on the money here because my caffe is usually one or the other, so it was easy. Submerge the tip of the steam wand below the milk’s surface and begin steaming. 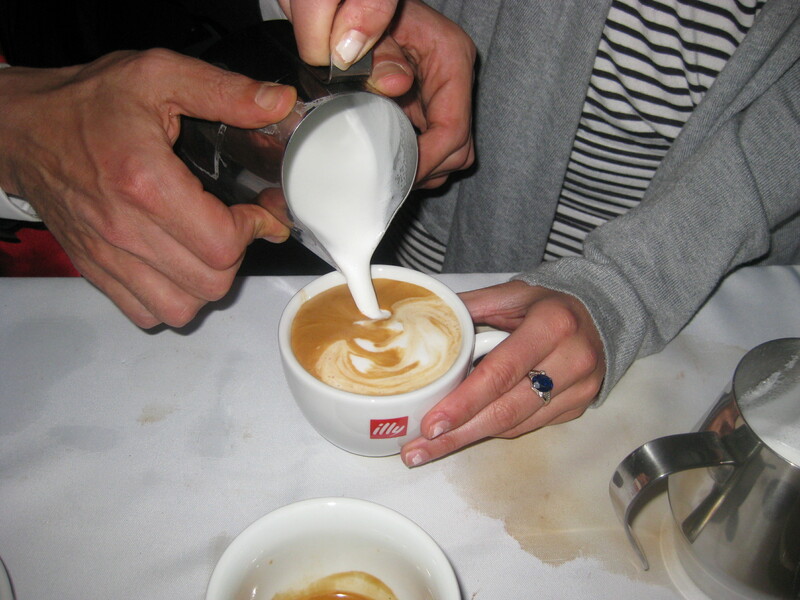 As the foam rises and the milk’s volume increases, slowly lower the pitcher so the tip remains submerged in the milk. 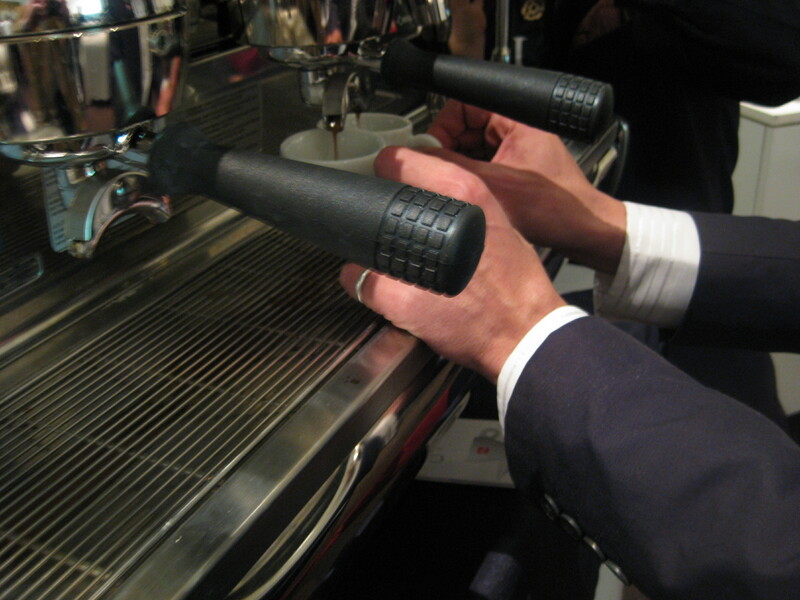 Keep the wand steady and parallel to the side of the pitcher and do not move it around in circles or up and down. Mr. Milos and Mr. Faina gave the class some hints on ordering caffe in Italy. Always say caffe when you are ordering espresso. Never order a lungo or a doppio. In most cases they will just let the machine run longer and you will get an over-extracted bitter, watery coffee. 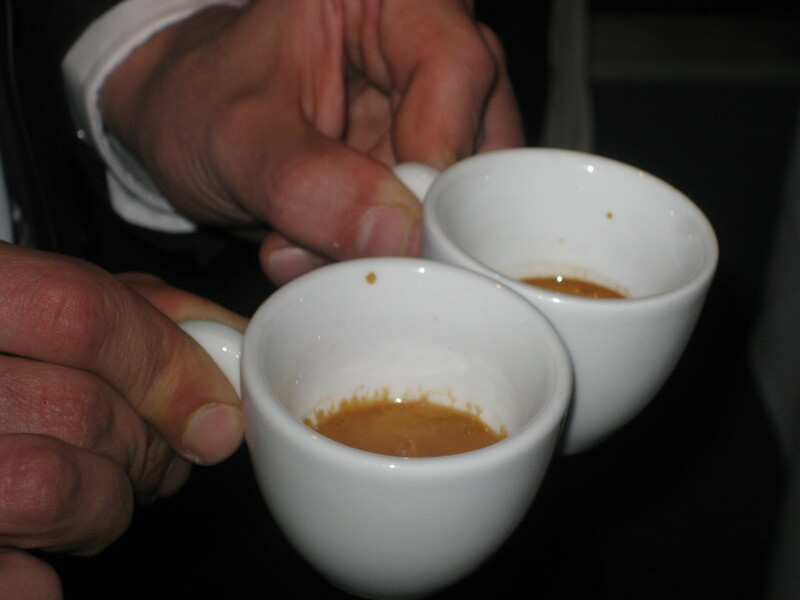 If you order a ristretto, short coffee, it should still take the same 30 seconds for the caffe to be done. If it is cold order caffe corretto (corrected coffee). The barista will add a little grappa. 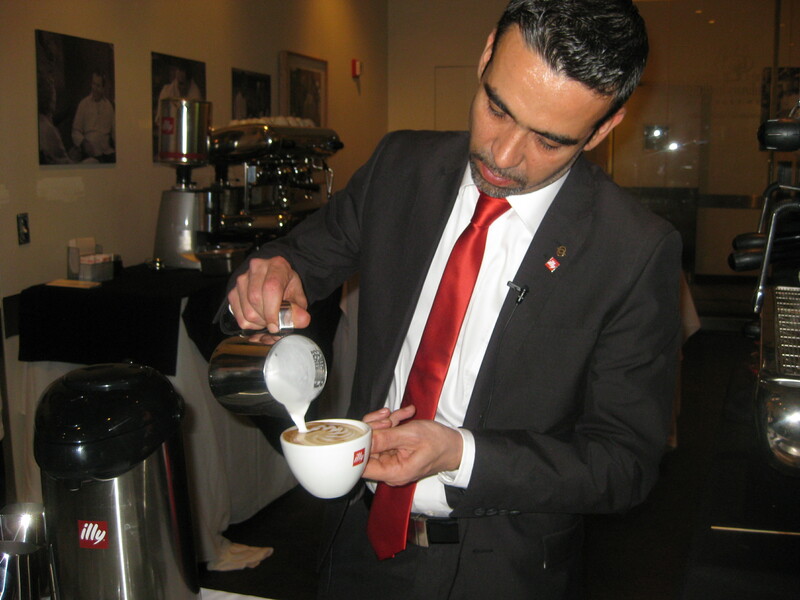 It takes three years of study to become a coffee sommelier or as the Italian say- barista. I just received my Certificate of Completion from the Universita Del Caffe Degli USA. 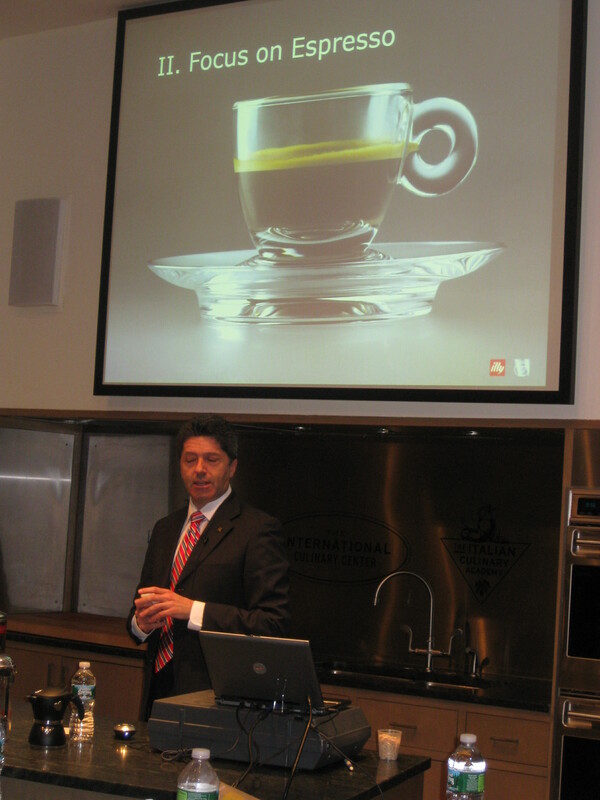 Illy gives different courses at the UDC and I am looking forward to taking all of them.